Wood window sills may be the standard choice among many builders, but there’s a better option available. 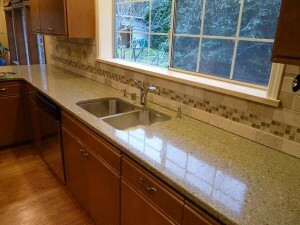 If you’re looking for something that will stand out and look magnificent, then marble and granite are the top choice. These materials will look great with every décor, and they’ll last for decades. You won’t have to worry about painting them, and rot will never be an issue. While you may love the ideal of making the switch to marble window sills, it’s completely normal to worry about the high price associated with this upgrade. Perhaps you’ve even priced out the marble before and felt that it was simply too costly for your project. The great news is that you can now afford to upgrade to marble thanks to the wholesale pricing available at Stonexchange. When you’re looking at the cost of wood sills compared to natural stone, it’s easy to see that wood has a lower initial price point. This may be very attractive given the budget you’re working with today, but take a moment to consider the long-term ramifications of going with wood. It won’t last as long as the marble, so you’ll have to replace it eventually. With marble, however, you can avoid this future expense and spare yourself the hassle of going through another replacement. The ongoing maintenance is another issue that must be considered. Window sills are put through a great deal of abuse as the sun beats on them or rain comes in through open windows. Over time, the damage can add up and lead to repairs. You could spend your time and money stripping, sanding, and refinishing the wood, or you can avoid the hassle completely by going with beautiful marble in the beginning. If you’re planning on remaining in the house for a while, you may find that the choice is clear. Another point to consider is the potential resale value of your home. While wood sills certainly won’t harm the value of your property, they won’t do anything to enhance it, either. Marble, on the other hand, is a little different. It’s one of those little features that stands out to potential buyers, and it can help people justify paying a slightly higher price for your home. While you won’t necessarily see a huge jump in your home value, you can expect your home to appeal to a wider range of buyers, sell a little faster, and fetch a slightly higher final price. It’s also the type of upgrade that helps you set the right tone for your home, and people may view your property in a more positive light as a result. If you have older windows throughout the property, then you may have already talked with contractors about more energy efficient windows. This is the ideal time to have your window sills replaced. With the old window removed, the sill will be exposed and easily replaced. You can do the installation work yourself or make arrangements with your contractor to handle the job for you. The new window will look truly amazing sitting atop a beautiful white marble or travertine sill, and you’ll save a good deal of money on the installation process. When you buy in bulk, you can negotiate lower prices. You may want to do the sills one room at a time, but you’ll save more by buying the supplies in bulk. Measure the windows throughout your home and place one single order to negotiate a better price. If you’re considering redoing any of the floors in your home, then you can also purchase marble thresholds at the same time. While you’ll save money on the purchase, you don’t have to install everything at once. Marble is a stable product that can easily be stored in a safe place of the home for future use. This way, you can get the price you want on the products while still doing the work one room at a time. The best way to save on marble window sills is to skip the local home improvement store and look for a wholesaler. Many wholesale companies will only sell to other wholesalers or retailers, but Stonexchange is happy to sell to the general public. We’ve cut out the middlemen and created a pathway for you to buy directly from the manufacturer. The result is lower prices on quality stones, and you’ll appreciate the substantial savings. We maintain tight quality- and cost-control measures throughout the manufacturing and wholesale process, which allows us to maintain lower prices for our customers. We then pass the savings on to our valued clients. In addition to lower prices on small orders, we also offer special discounts for larger projects. There’s more to buying window sills than just the money you’re going to spend on product. Remember that your time is also valuable. We offer excellent customer service, and we strive to provide our clients with an easy and convenient process. You can place orders online or speak to one of our representatives. We pay close attention to detail to ensure that orders are filled correctly and that our customers receive quality stones that are ready for use. We’ll ship the order directly to your home or worksite, so you won’t have to worry about trying to load tiles at the local store or transport them. The result is a buying process that’s fast, easy, and very convenient. You won’t have to worry about a thing, and you’ll save time and frustration as well as money. Our company has a distribution center in Southern Florida, but we ship to locations throughout the United States and the Caribbean. Our rates are attractive, and our customer service is impeccable. If you’ve been dreaming of installing marble window sills but have worried about the price, then contact Stonexchange today to review your plans and see what we can do for you. Natural stone is within your reach, and it can fit nicely in your budget when you work with our team.